Columbia Valley golf courses are located in the Kootenay Rockies mountain range of British Columbia. 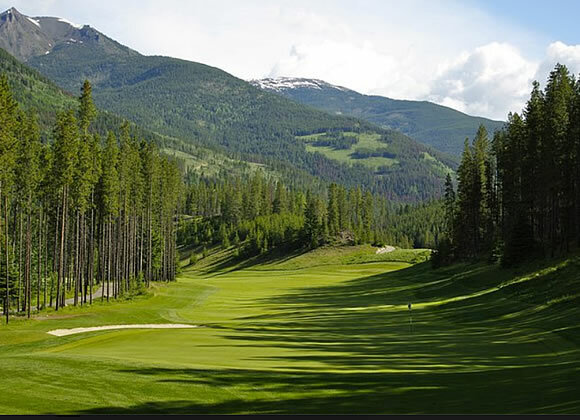 In this valley area alone you can find eight of the twenty-three Kootenay Rockies golf courses. The Columbia Valley, BC region offers great golf vacation options for intermediate and experienced golfers to enjoy. Starting in the north part of the Columbia Valley, golfers will find two great courses at the Radium Resort. The golf course was built in 1988 and features some of the most spectacular views of all the Columbia Valley golf courses. 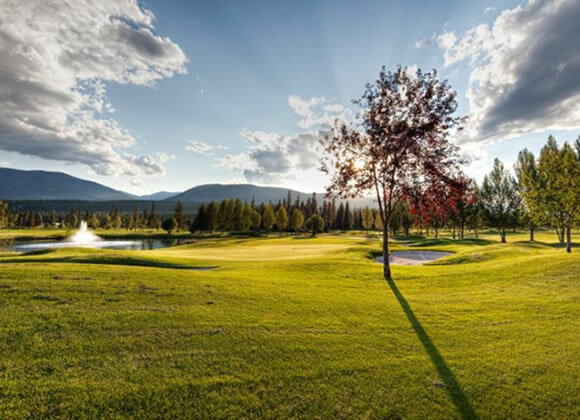 Nestled in the snow-capped Purcell Mountains, the Radium Resort offers two fantastic golf courses: The Springs Course and the The Resort Course. The Springs Course has regularly been ranked as one of Canada’s top 100 golf courses. The next golf course south of Radium Resort is Eagle Ranch Golf Resort. This is an Invermere golf course that provides even more challenges and scenery. Eagle Ranch is a four star golf course as rated by SCORE Magazine. It was built in 2000 and designed by William G. Robinson. It features an 18-hole golf course suited for beginners as well as experts. Greywolf Golf Course in Panorama, BC is another Columbia Valley golf course for those that want to experience both a challenging course and breathtaking scenery. Greywolf Golf Course offers a large number of memorable par 3 holes and the spectacular number 6 hole: the Cliffhanger. Next on the golfer’s list should be Copper Point Golf Club and the Ridge at Copper Point. Although, this area features one of the newest courses, (it was built in 2004), the design calls back to another time in golf. The courses offer many more classic elements in the architectural design of the course, including use of existing hills and ravines. Although these courses offer golfers a more classic design, the Golf Club is fully equipped with the latest technology for today’s golfers. Some features include color GPS in every cart and a full range of amenities at the clubhouse. Riverside Golf Course is another course you cannot miss when golfing in the Columbia Valley. Riverside’s main aesthetic attraction is the Columbia River that runs just past the course, offering a smaller stream that runs through the middle of the course. Riverside Golf Course at Fairmont also offers one of the largest golf shops in the area for your apparel and golf accessories. Both beginner golfers and experts alike will want to experience the variety of golf courses located in the Columbia Valley area. View our Directory of Columbia Valley Golf Courses and Book a Tee Time today!